But doctor, will I still be able to play the piano? The name might not be familiar, but many horror films owe a debt to the story and this first adaption of The Hands of Orlac. 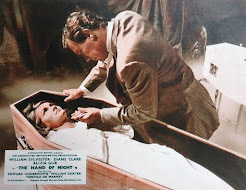 Besides the better-known remakes, consider The Beast With Five Fingers (1946), the Christopher Lee segment of Dr Terror's House of Horrors (1965), Oliver Stone's The Hand (1981), Ash's possession in Evil Dead II (1987) and especially the homage of Body Parts (1991). Before surgical transplant procedures had been perfected, there was actually a debate over which organ a person's soul might inhabit, and whether personality was also transferable. In the story, concert pianist Orlac loses his hands in a train crash, waking to find that they've been replaced with those of an executed murderer! He can no longer trust his own hands! This far-fetched concept is brought to life purely by the actor's performance. 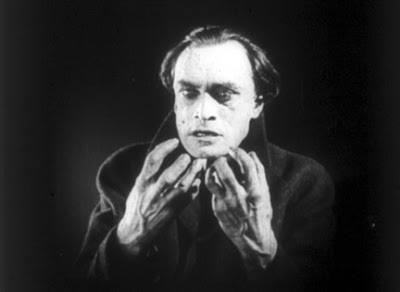 Conrad Veidt (a favourite actor of Christopher Lee) has to convince us he's frightened of his own hands. Not an easy task, but the film is a tour de force nearly two hours long, made fascinating by the extreme 'horror acting' of the cast. 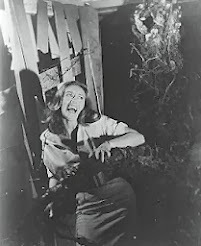 For want of a better phrase, 'horror acting' means to me that someone has to convey extremes of fear and madness when confronted by the impossible, the supernatural, or the downright evil. This is exaggerated to match the extreme circumstances. I'm talking about the frenzied state that 'the final girl' has to convey when she's cornered by a killer, or Ash's descent into madness as the whole house conspires against him. Also the kind of performance needed when the killer is finally unmasked, and has to look like they are insane enough to have committed all those mad murders. But there's a fine line between successfully 'hitting these heights' and over-acting. I think it's also possible, Shatner-style, to overact and take the audience with you. This is a rare and difficult skill. How often in a horror film have you seen someone scream unconvincingly, or not look scared enough? The reason I gave up on the Saw movies was because of Carey Elwes in the first film. At the crux of the story, trying to look insane enough to cut off your own foot required a height that Elwes didn't reach. It's the 'horror acting' that really kept me watching The Hands of Orlac. Filmed back when it was a new artform, the art of appearing very, very scared by the supernatural. Paul Orlac (pity he's not called Hans) and his wife, Yvonne, are happy for a couple of minutes before being dropped into a pit of despair and terror. Yvonne (Alexandra Sorina) has a similarly extreme emotional rollercoaster ride. First she's awaiting his embrace before he returns from a concert tour, her yearning for the touch of his hands on her body will soon prove problematic. Then she's distraught as she hears that his train has crashed and races to the site not knowing whether he's survived. The torture mounts at the hospital as she waits to hear whether he'll survive, then there's the horror as she learns he'll lose his hands. The actress is limited to playing this last scene in an armchair, but takes distraught to the very limit as if she's climbing the walls. When Orlac finally regains consciousness, he's relieved to see his new healthy hands unbandaged after the crash, in notably the only daylight exterior scene. For the rest of the film, once he discovers he's inherited the hands of a criminal, the character is trapped in gloomy, cavernous, expressionistic sets. Besides not being able to play the piano, he fears that he can't trust touch his wife with such murderous hands. 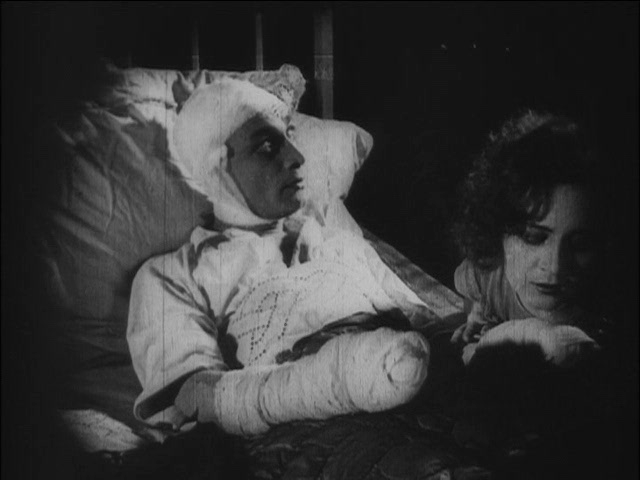 Orlac's battle with his hands through the rest of the story is extraordinary to watch. 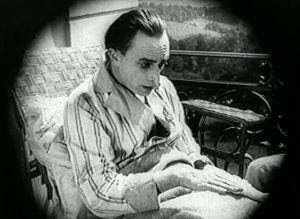 The sheer strain of his performance even showing in the veins on Conrad Veidt's forehead. I'd previously thought Bruce Campbell was the king of 'possessed hand' acting after his Oscar-worthy, kitchen-destroying struggle in Evil Dead II. But Veidt has to keep this level of intensity up for most of the film! But while Veidt and Sorina's performances are exaggerated, they're still truthful. In silents, performers are allowed to show how they feel inside. Like the most memorable scenes of Lillian Gish in the American silent classics The Wind and Broken Blossoms. The latter has her trapped in a cupboard with a killer trying to break his way inside. For me this works ten times better than Shelley Duvall in the bathroom in The Shining. Gish gets so worked up, she eventually looks like a cornered animal being driven frantic with fear. I should say this acting is heightened rather than exaggerated. It has to be amplified because the actor has to convey everything to us, without the help of dialogue, sound effects or music. 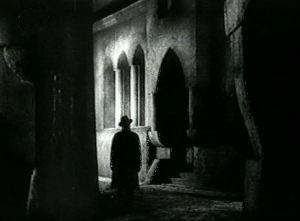 Director Robert Wiene continued using surreal set design of early German supernatural cinema, which he'd helped pioneer in The Cabinet of Dr Caligari, also starring Conrad Veidt. The oversized sets, dominated by simple shapes are partly obscured in the murk of the fading prints. But these sets are as unnatural and psychologically wearing as the acting. Not as surreal as in Caligari, but overly imposing and empty, stripped down to the essentials of the script. A music room, a piano. A bedroom, a bed. The patterns on the walls and the frames of the doorways dominate the sets. The extreme performances look slightly less unusual when we meet the other grotesque characters in this nightmare, Orlac's father and his bizarre butler! I also recognised Fritz Kortner, one of the stars of Pandora's Box, lucky enough to later act opposite Louise Brooks. The US remake with sound, Mad Love (1935), looks a lot less impressive when you see this first version. 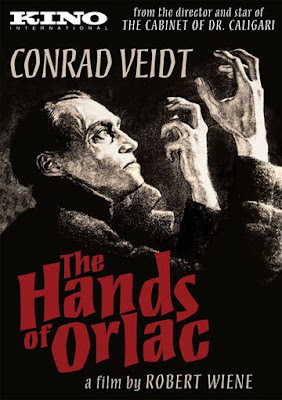 This is also for fans of Conrad Veidt, the star of The Cabinet of Caligari (1920), The Student of Prague (1926), The Man Who Laughs (1928), The Spy in Black (1939), The Thief of Baghdad (1940), not to mention Casablanca (1942). 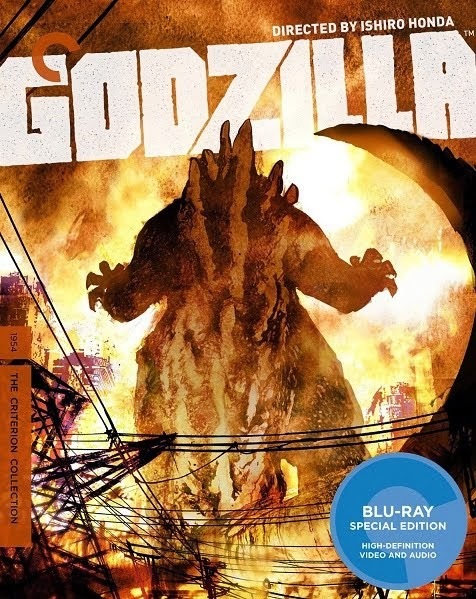 The Kino Video DVD has assembled the best surviving elements of the film, though the picture quality fluctuates throughout. The brightness of each shot flickers a little and there are many scratches. While I'd like it all to look cleaner and a little lighter, these unavoidable artifacts all add to the atmosphere.